What’s your super power? No, I don’t think you can fly. Surely, you don’t want to run around with your underwear over your trousers? No — what I’m talking about are things inside of you. 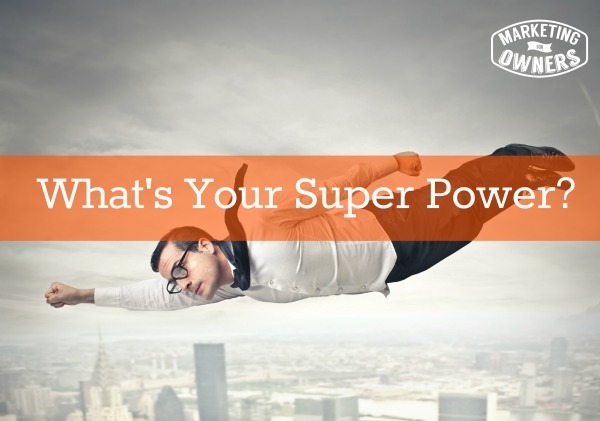 So — what is it – your super power? Have you ever wondered why you are short tempered? Have you ever wondered about your impatience? What about your attention to detail? Why do you like writing lists about things? Why do you procrastinate? Why do you dive in and get going with projects before you even know what the facts are and then get those things wrong? That’s what I am talking about today. There are number of tests out there — psychological and psychometric tests that can help you figure out what you are really good at. Some of the most famous ones are probably the Myers Briggs tests. Sally Hogshead has one called How to Fascinate and it you can get a free assessment just by clicking this link. There is also Kolbe. What they do is they teach you what you are all about. I think it is very important for you to understand your own mind. A lot of people don’t know what they are about. I think that’s important for all of us. By understanding your strengths and your weaknesses and your super powers, you can decide which jobs are best for you ando and which jobs are best for someone else to do. To take this even further, you can test your staff or potential staff and find out if they’re actually suitable for the job you’re giving them. That is something that will improve your business today and for every day to come. Just imagine, if you are putting someone in charge of your small business and you give them the job of sending out invoices, however, they are not very organized. What kind of mess would that leave? If you did a test and found that they do not have an eye for detail, that they get really bored with paperwork, you could save yourself a lot of time and trouble. Why would you give them that job when it is not a super power that they possess? The Myers Briggs has more results that can help you or your employees to be placed in tasks that are perfect for them. There are a number of results from a series of tests and questions that you have to answer. You go online take it. It’s free. Once you work through the test, it will give you a score and it will give you a term in four areas. Personally I am an I,N,T,J. I share some of the same personality traits as Bill Gates and Steven Hawking — yeah exactly. The I stands for “introverted”. A lot of you would think, “Well, Jon you love being on camera. You seem more like an extrovert instead of an introvert. ” But I’m not. A lot of people who appear to be very extroverted are introverts and deep down, they prefer to be on their own. In introvert likes to be in the quiet, not in a room in front of people. They can do it if they have to, but they prefer to be left alone. My strengths are for organizing things, not standing out in the front of the camera. Now, Richard Branson –he’s very introverted. He’s forced himself to be an extrovert but he has the certain qualities that just put him above. Others will have all sorts of qualities that you can’t imagine ever having. You need people like this. Now Sally Hogshead’s version is similar. I’m actually the wise owl in hers. When you do these tests, at the end, they give you a full explanation of what the score means. With the Myers Briggs type, it has lots of information from Wikipedia and stuff on the meanings of these. Kolbe provides you with a little video explaining what everything means. In Kolbe, I think I’m an 8,7,4,2. 8,7 means where I’m high towards 10, which means that before I start anything, I need all the details. I need all of the information. I need to take a considered view and think about everything before I get started. Now on the 4 if that was a 10, that third column, that’s the quick start. If I was a 10, I’d be the type of person that jumps in feet first, before I’ve got all the facts and try to go somewhere with what I have. In a lot of cases that’s a good thing. With me, that holds me back and slows me down from getting things tarted. It’s called procrastination, but I will get more and more details and delay starting things while others would have already gotten started with them. Of course they may have got it wrong but they can learn and they can adjust. So, this is what these tests teach you. You don’t have to test everybody by the way. Just the ones that are in significant positions. You’d also find where the people are best suited to work together. I could not work with someone else who is exactly the same as me. We need to compliment each other instead of being exactly the same. Again, get the right people doing the right job and you’ll be more effective. Today’s friendly follow is for a lady called Melinda Emerson. 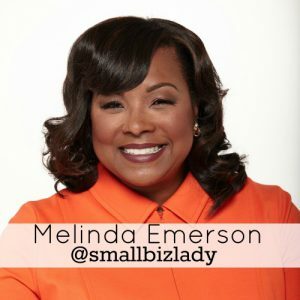 You can find Melinda on Twitter as @smallbizlady. She also wrote a book called, Become Your Own Boss in 12 months. It is a very popular book. She has a website that gives all the information you need as a small business entrepreneur. She’s a fabulous lady who has been on television in America. She knows what she’s talking about. It is well worth watching how she tweets, what she tweets, and how she interacts with others. Have a look at her website. I recommend it. Melinda really is very smart. So, what’s your super power?